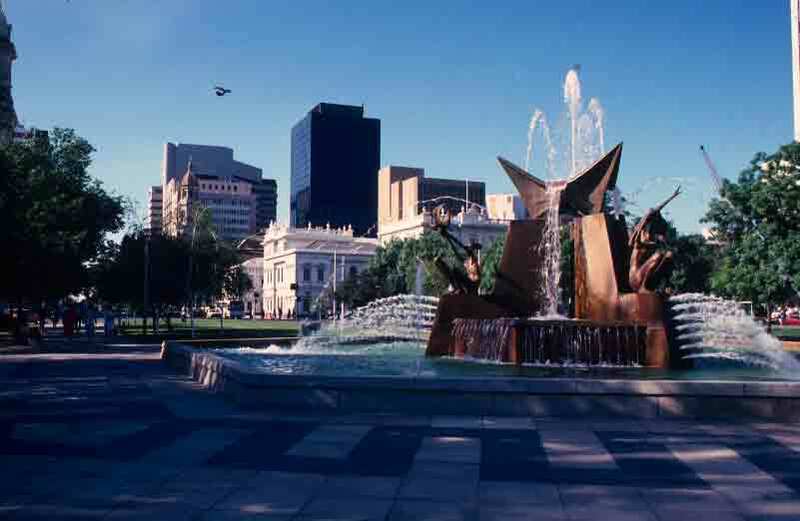 More recently, Adelaide has come to be known as the Festival City. It is a city with a lively arts scene and major arts festivals. 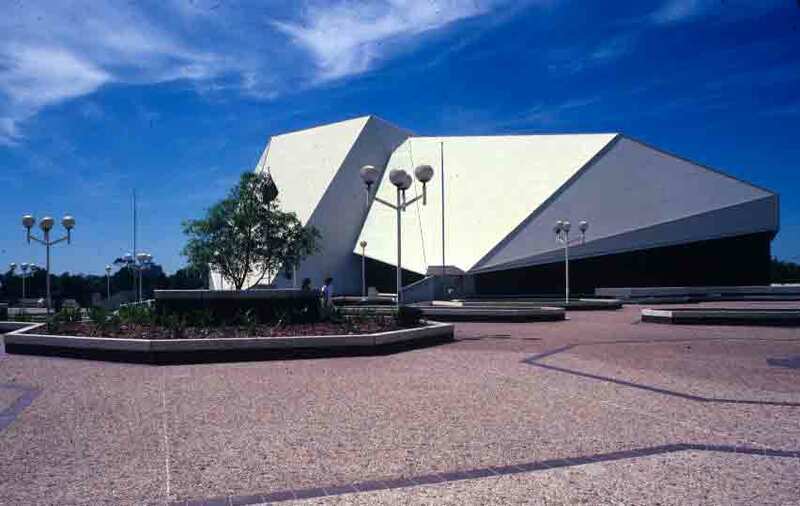 One of the city’s centerpieces is Festival Hall (pictured below), which is more modern and has more innovations than what they refer to as “that other place” (i.e., the Sydney Opera House). Though less iconic than Sydney’s dramatically sculptural harbor-side center, Adelaide’s Festival Hall is a strikingly handsome building and a splendid venue for the performing arts. When one mentions opals, most people think immediately of precious opals, the gem-quality stones that tend to show up in pieces of jewelry. 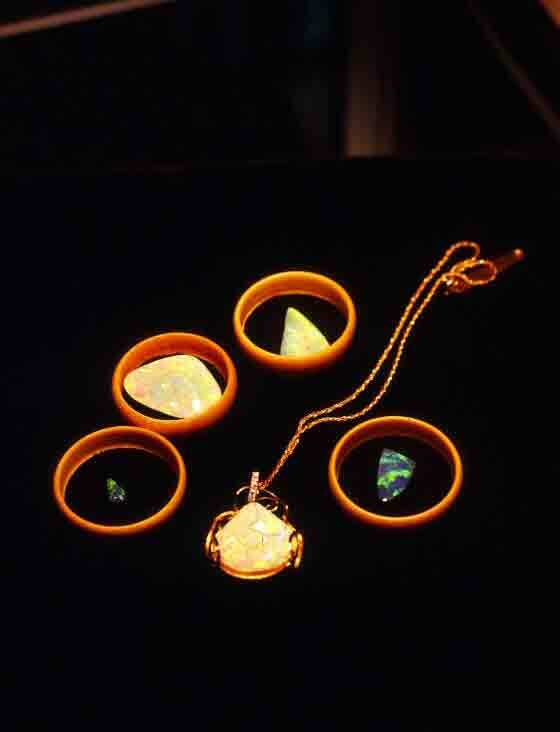 It is precious opal that possesses the flashing, shimmering colors—the opalescence—that make the stones so lovely. While opals are found in a number of places around the world, the finest gem opals are found in Australia. Because South Australia is one of the key locations for the mining of gem-quality opals, Adelaide is pretty well supplied with jewelry stores that specialize in opals. I talk a fair bit about opals in the book, so I won’t repeat it all here, but I did want to show you a photo of the splendid “pseudomorph”—a fossil shell formed entirely of opal—that caught my eye while I was browsing through Opal Field Gems in Adelaide. You’ll see it below, mounted in a necklace—a perfect cockle shell shape, all of opal. (Actually, there are two cockle-shaped pseudomorphs in the photo, but the one that really captured my fancy was the one in the necklace.) The gorgeous black opals that I so admired can also be seen—the ones that look like molten emeralds and sapphires mixed together. One of the stories that didn’t make it into the book, however, is that while I was browsing through the store, it suddenly occurred to me that, with a few relatively settled days in Adelaide, I could take care of some business that had been delayed by all my wandering. While I was still on the camping trip that carried me down the rugged west coast, someone had offered me a particularly sticky candy called Milk Shake—the sort of thing that pulls fillings out. Or, in my case, an inlay. I had been trotting about the countryside now for several weeks with about half a tooth missing. Well, not entirely missing, as it was in my purse, but I wanted it where it belonged. So I asked the charming sales manager at the opal store if she could offer any recommendations. She wrote down the address of her own dentist, whose office was just a few blocks away. I found the dentist, and his receptionist was able to arrange an appointment only a few days later. By Tuesday of the following week, my inlay was back in place. I only mention this because it has afforded me some amusement over the years. Often, people who know of Australia’s gold rush ask if I have any Australian gold in my teeth. I smile and reply that, no, I don’t, but the gold I do have is held in place with Australian glue. 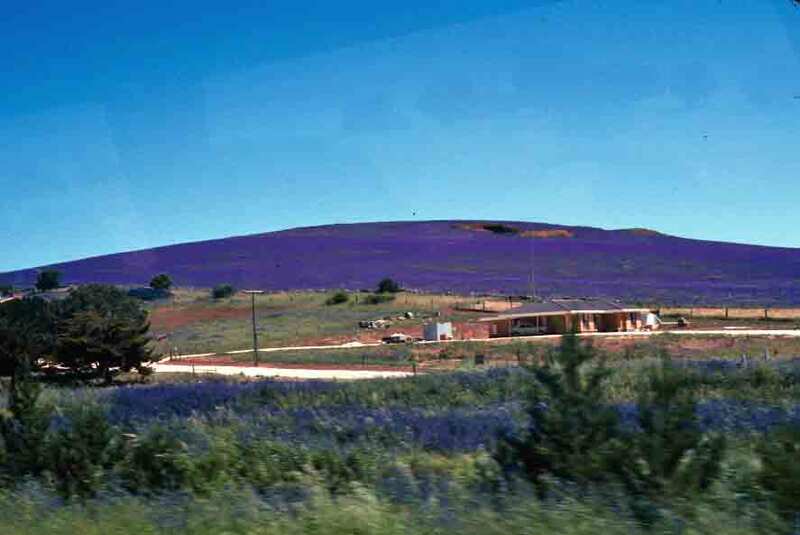 As I traveled into the countryside outside of Adelaide, I was amazed to see fields everywhere blanketed by lovely, tall, purple-flowered plants that were identified as weeds called Paterson’s Curse (Echium plantagineum). Also known as Salvation Jane, this relative of borage, introduced from Europe in the mid-1800s, has become widespread in temperate Australia. It blankets millions of acres—about 300 million—and costs Australians vast sums of money each year, in efforts to reclaim farmland and in lost or sickened livestock. Because even though this attractive Mediterranean native is nutrient-dense, it also contains alkaloids that act on the livers of some animals (especially horses and pigs; sheep, goats, and cattle are affected, but not as much). If grazing animals consume much of the weed, many weaken, some die. Plants grow quickly and develop large taproots that make them drought resistant. They also produce prodigious numbers of seeds, thus multiplying rapidly. In addition to threatening grazing animals, they also crowd out indigenous plants, grasses, or crops. And here you thought it was just rabbits that became a problem in Australia. 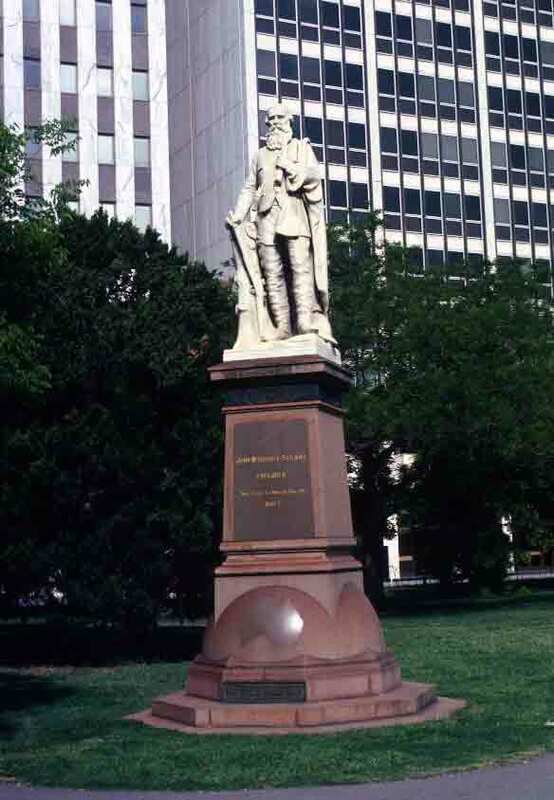 Thanks to the vision of Colonel William Light, Adelaide is a wonderfully laid-out city, with abundant gardens and parks, remarkably wide streets, and attractive squares every few blocks. Colonel Light chose the city’s site in 1836, and soon handsome, imposing buildings began growing up along the sweeping boulevards and amid the parks he had mandated. Born in Malaya, Light spoke several languages and was a gifted artist. His life might best be described as unconventional, with more numerous career changes than were common at the time, a number of marriages, and a fair bit of international wandering. However, he distinguished himself in the military on numerous occasions, and most especially while attached to the illustrious Duke of Wellington. He was also very bright. When John Hindmarsh (with whom Light had served in Egypt) became Governor of South Australia, he recommended Light for the position of Surveyor General—which led to Light’s involvement with the founding of Adelaide. In addition to determining the location of Adelaide and laying it out, Light named numerous locations in South Australia, including the Barossa Valley (which would become one of South Australia’s premier wine regions), after a valley in Spain where he had fought while in the military. Sadly, Light did not live long enough to see his enemies’ opinions discounted. He died of tuberculosis in 1839. But even at his death, he was acknowledged as the founder of Adelaide—and his funeral procession indicated that, though his foes may have been vocal, there were hundreds who admired him. Today, pretty much everyone who visits Adelaide considers Light’s plans to have been inspired. It is a truly lovely city. The picture below is of Victoria Square, named in early 1837 for a princess who would soon be England’s Queen. 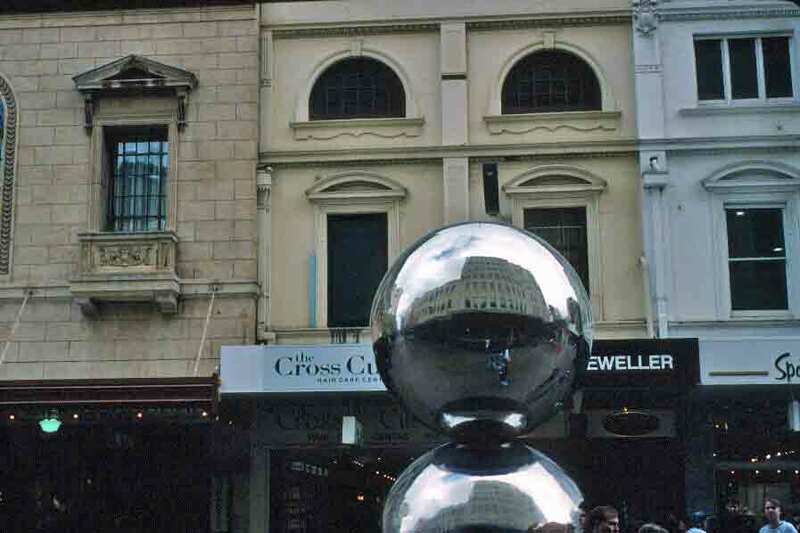 It is one of five squares Light placed in downtown Adelaide, and is the center of the city’s one-square-mile grid. 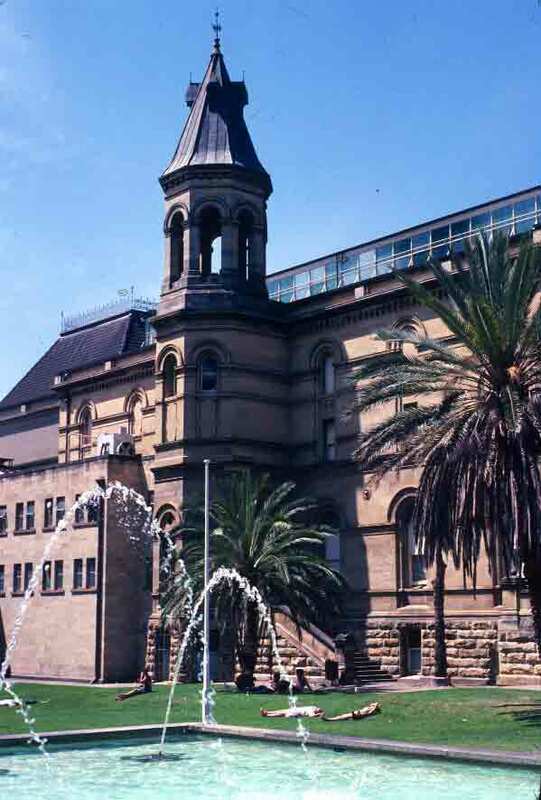 Both historic and modern buildings can be seen beyond the Three Rivers Fountain, which represents the three rivers from which Adelaide gets its water.